How To Join Aberdeen Freemasons. – SONS OF THE SOIL : ABERDEEN FREEMASONS HALL : MASONIC TEMPLE ABERDEEN : ABERDEEN MASONIC LODGES. SONS OF THE SOIL : ABERDEEN FREEMASONS HALL : MASONIC TEMPLE ABERDEEN : ABERDEEN MASONIC LODGES. 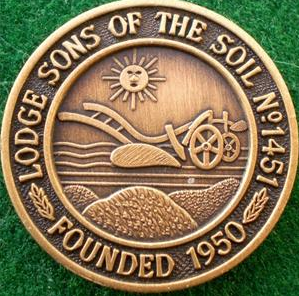 Sons of the Soil 1451 on the Square of the Grand Lodge of Scotland. Meetings on First and Third Wednesday September-April, All Brethern Warmly Welcomed. How To Join Aberdeen Freemasons. If you are interested in becoming a Aberdeen Freemason and you want to join one of the worlds largest and oldest fraternities, please contact the current 1451 Lodge Secretary, Bro. Brian Hunter by filling in the form below.